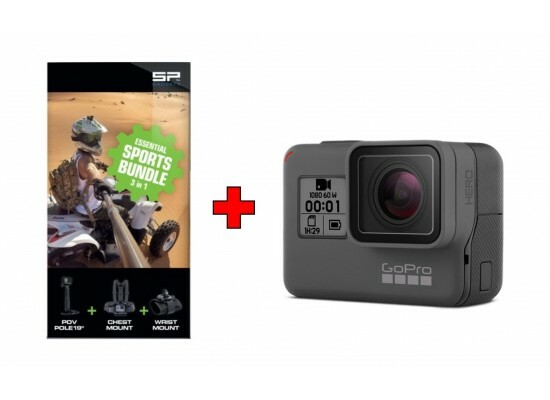 The New GoPro Hero: Everyday Awesome. Score amazing shots of any adventure, or capture everyday things from creative new perspectives. Featuring 10MP, records 1440p60 / 1080p60 video-quality, 12MP Touch Screen, up to 33ft (10m) waterproof and Voice Control. With the new GoPro Hero, Frame the perfect shot and check out your photos and videos on the 2-inch touchscreen. 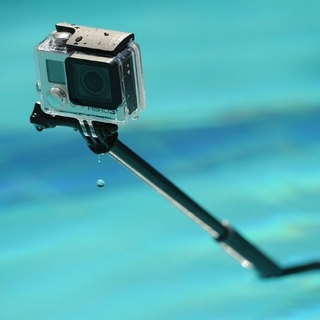 GoPro HERO is waterproof, durable and made to go where your smartphone can't. 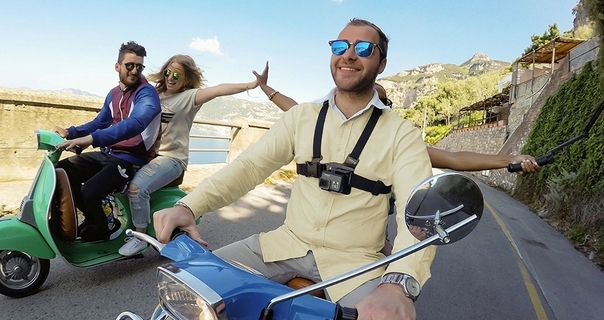 The chest mount makes it easy to capture immersive video and photos from, well your chest. It's perfect for skiing, mountain biking, motocross, paddle sports or any activity where you want a more engaging, lower-than-the-helmet view of the action. You'll capture more of your arms, knees, poles and skis while skiing and more of your arms and handlebars while biking or riding your motorcycle. Fully adjustable to fit a wide range of adult sizes. Wear your GoPro like a watch for easy access when capturing footage on the fly. The Wrist Housing secures the camera flat against your wrist, yet lets you quickly pivot it upright to shoot photos or video. When not recording, you’ll have full use of both hands, making it perfect for surfing, snorkeling, climbing and skiing.